Upstairs C is located on the top floor of the Guesthouse and is uniquely designed for peaceful relaxation. Upstairs C, our smallest bedroom, is nestled on the top floor of the Guesthouse and shares a bathroom with Upstairs A and B. A half bath is also available on the main floor. 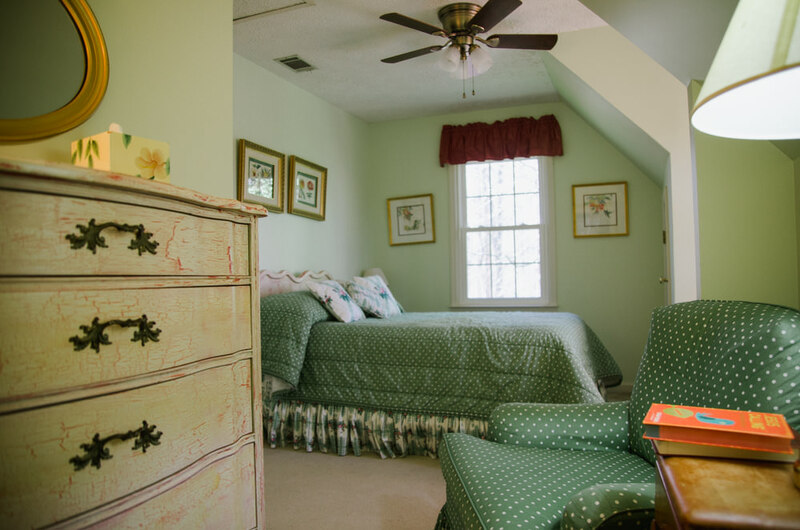 This comfortable room features a double bed and is uniquely designed with a sitting area that is perfect for reading. The windows overlook both the front and side of the Guesthouse property. Laundry facilities are located on the main floor.